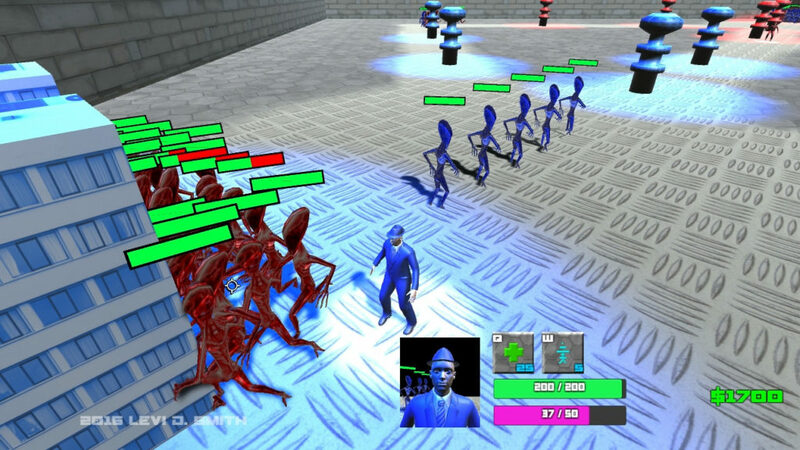 Agents vs Aliens is a MOBA (multiplayer online battle arena) style arena game, where you control either the agents or aliens to conquer the battlefield. Champion – A player controlled character. The champion is moved around the map by clicking on the terrain. The champion is spawned at the home base. Health – When the champion’s health reaches zero, the champion dies and returns to the home base. Attack – How much damage the champion does to enemy units. PlayerControlled – Is this champion player controlled or AI controlled? Abilities – Special actions that are activated by the player, which are mapped to the ‘D’ and ‘F’ keys. 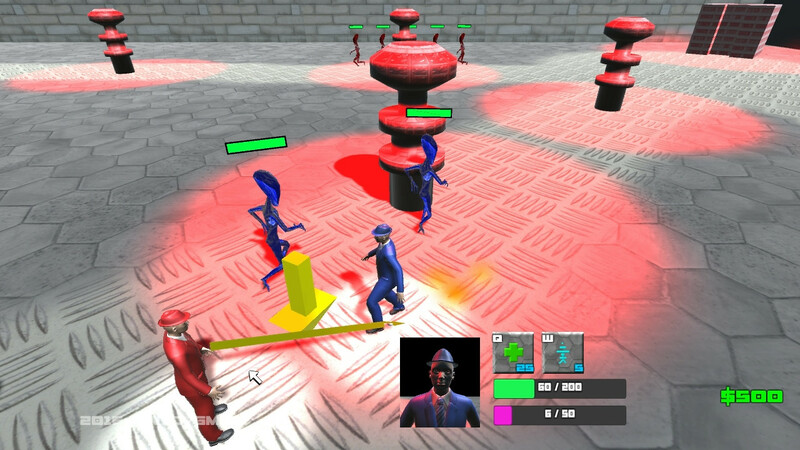 Minion – AI controlled teammates that move along one of the three paths. Minions will attack towers and cores when they are near.